Julia is planning to post next week about the difference between Type A and Type B personalities, but to pre-empt her a bit, I’ll go ahead and state that I’m definitely a Type A. As such, I have a lot of silly, little pet peeves. 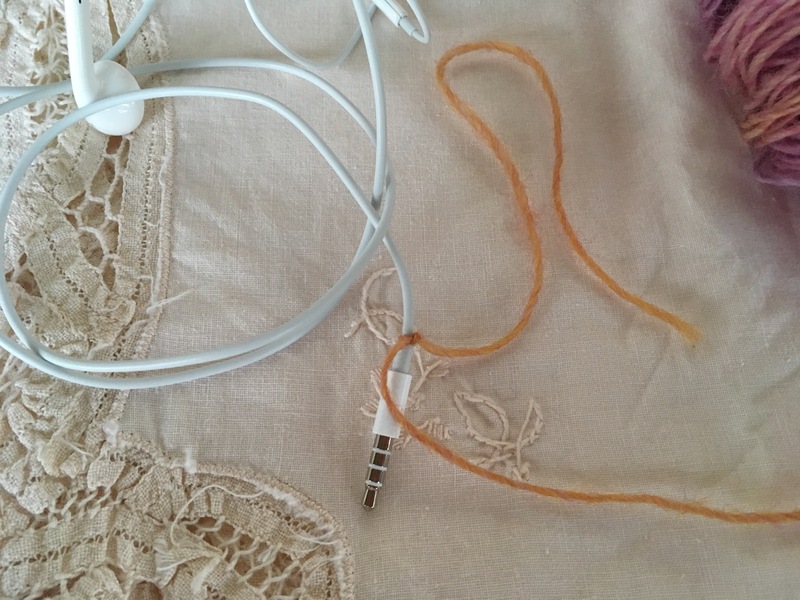 One of them is the way headphone cords always get horribly tangled, no matter how neatly you wrap and store them. Why do phone companies insist on using that weird rubber coating that grabs itself and never lets go?! 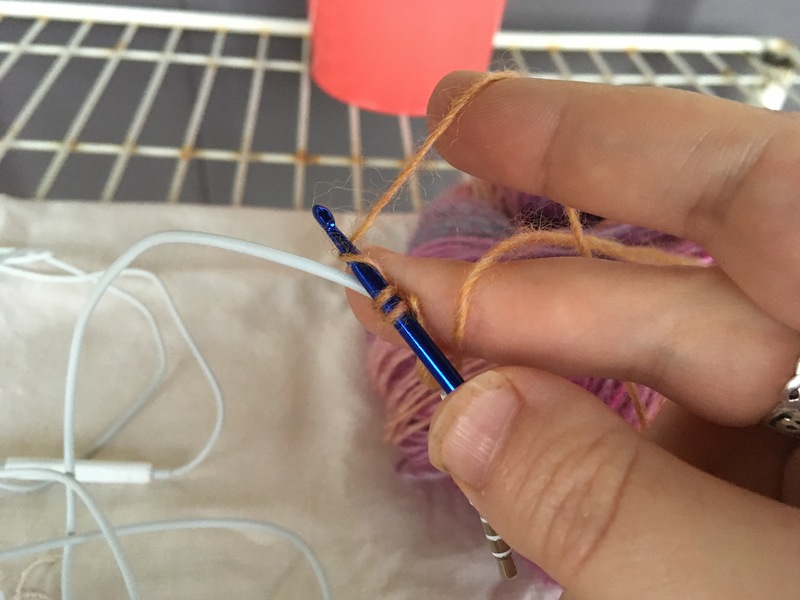 Years ago, I followed a tutorial for covering headphone cords with yarn or thread. It used a knot that I used as a child to make friendship bracelets, the hitch knot. This creates a wrap around the cord, with a row of knots that spiral down the cord. For Christmas, I got a new phone. Which came with new headphones. 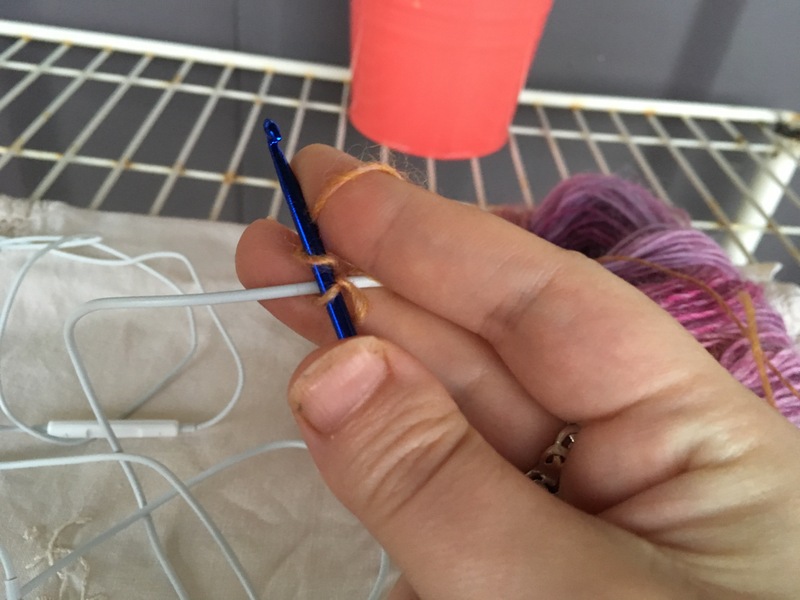 And I saw a new tutorial for wrapping headphones on Pinterest, using a crochet stitch! The thing is, I’m well known for not being a fan of crochet. 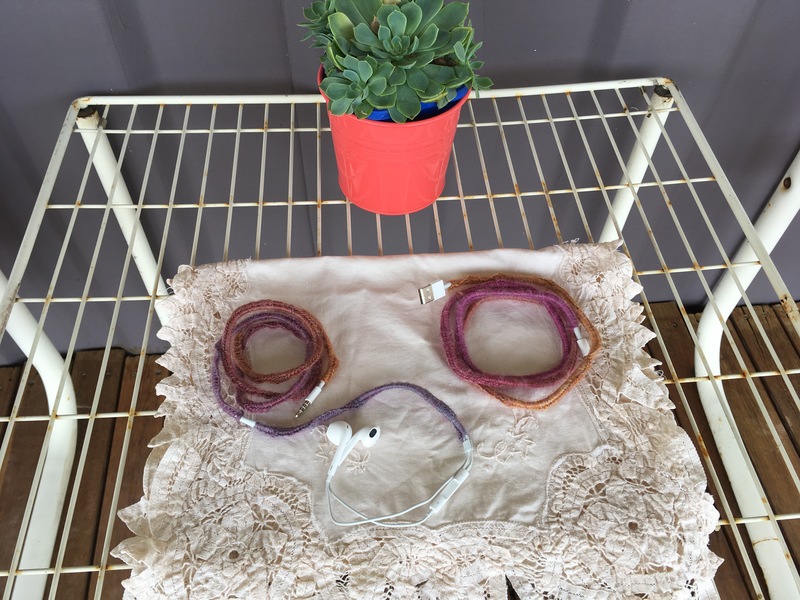 While playing softball, my husband liked to confuse the other team by shouting, “Smash the ball, Karen – imagine it’s crochet!” But I see the value of crochet when used for embellishment, and when I saw Kirsten Kapur’s photos of her phone charger cord wrapped with variegated wool in gorgeous colours, I was in love. I like the way the row of knots doesn’t spiral around the cord, but can sit in a happy, straight line. The instructions from Kirsten are simple: tie a knot around the cord, then do single crochet along the length of the cord. Too easy, right? Hm, maybe if you’re familiar with crochet. For a croch-hater like me, even that simple instruction stumped me. 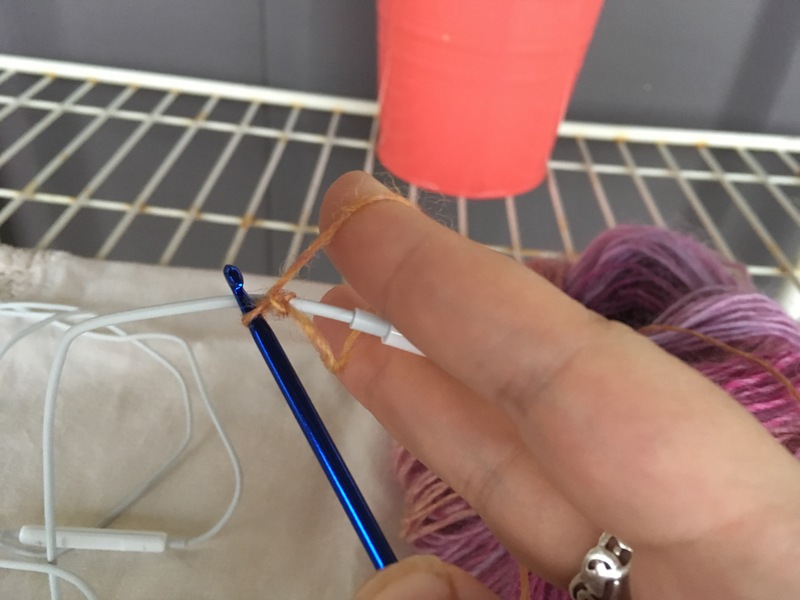 Yeah, I know how to do the single crochet, but around a cord? It took me a good 15 minutes of experimenting to figure it out. So I thought I’d supply some step-by-step instructions, for those interested in giving it a try. First, tie your yarn around your cord and double-knot it. 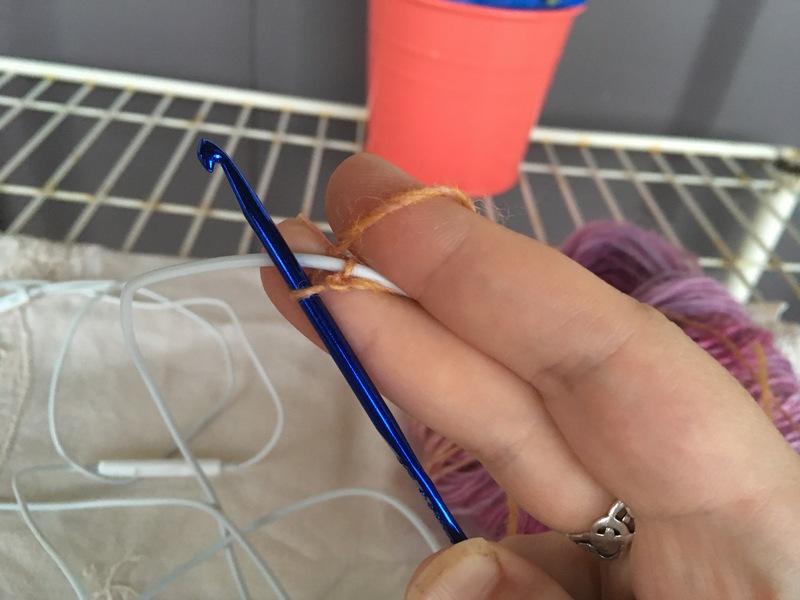 Second, hold the crochet hook and leading yarn in your right hand, and the cord in your left. (I don’t have a tripod so the photos were a bit tricky!) 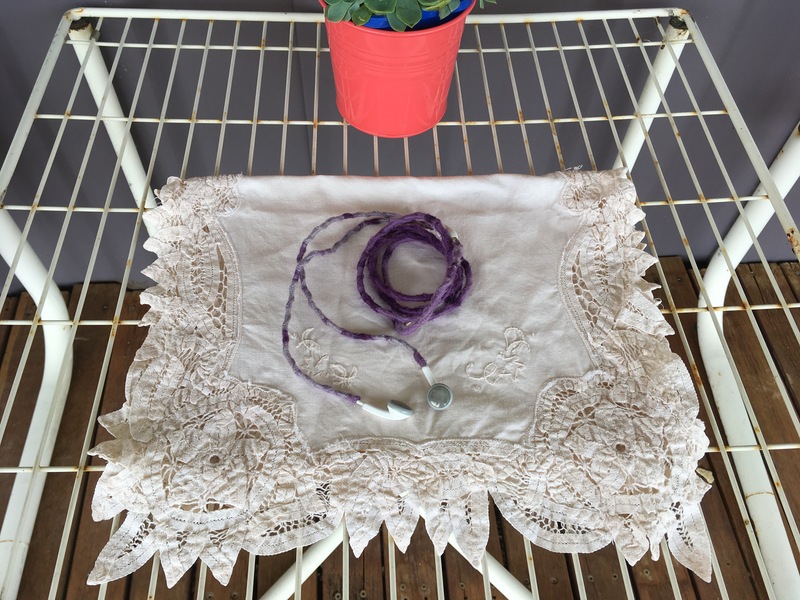 Dip the crochet hook under the cord and wrap the yarn around it once. Third, pull the hook back towards you and position above the cord (the yarn will be coming from behind the cord now). 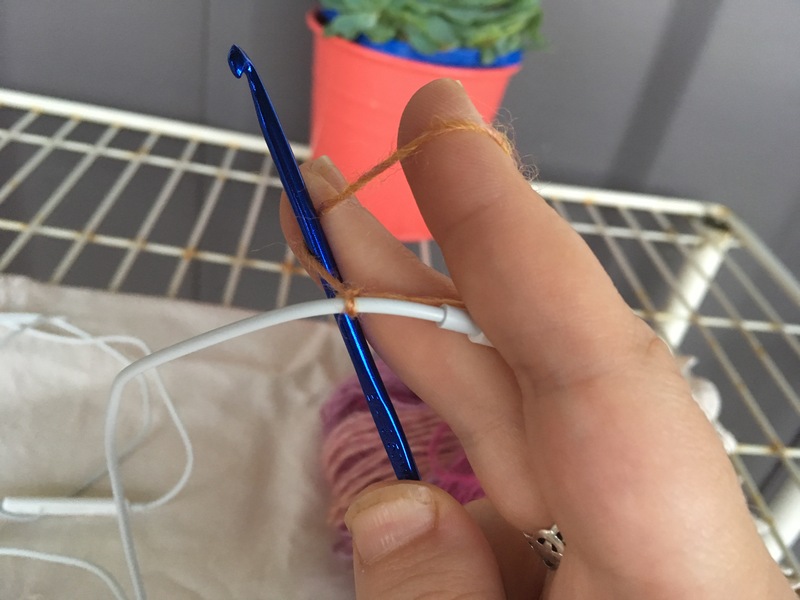 Fourth, wrap the yarn around the crochet hook, and pull through the first loop. This is your first stitch. Yay, pat yourselves on the back! Fifth, dip the hook under the cord again, and wrap the wool around once. Pull the hook towards you and above the cord again, and wrap the yarn once more. Then pull that through both of the other loops on the hook. This is the single crochet stitch. Repeat step five (the single crochet) all the way up the cord: dip, wrap, up, wrap, and through. And that’s it! Kirsten edited her original post after she got concerns from readers that the wool on her cord might cause static electricity, which, I don’t know, I guess could spark and cause a fire. That’s probably a legitimate concern; what do I know? So here’s a disclaimer: I take no responsibility if you blow up your phone or computer or house. 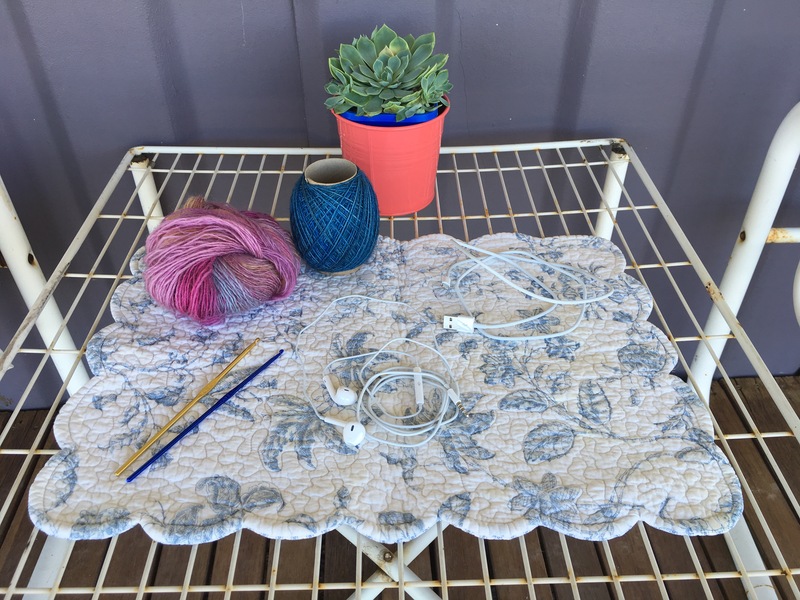 Cotton is probably a safer option than wool as a quick google search informs me that it is neutral and does not create static electricity, unlike wool, which causes a moderate amount of static. I foolishly covered my cords in quite a hairy, fuzzy wool, so I’m really living life on the edge! Wrapping your cords doesn’t mean they won’t get tangled, but they shouldn’t grip themselves and stop you from untangling them. Which makes this Miss Type A very happy!